What companies write affordable life insurance for rock or mountain climbing? 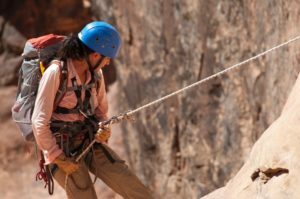 This article will guide you on how to find the life insurance companies that specialized in writing affordable protection life insurance for rock or mountain climbing. There are over 1,000 life insurance companies selling policies in the United States. But, only a handful of companies actually underwrite and specialize in coverage for rock or mountain climbing. Finding these few companies could be difficult unless you use a life insurance special risk broker. Where do you find a special risk life broker? Special risk life brokers are typically independent life agents. They usually represent multiple life insurance carriers. But, what truly sets these agents apart is their experience and knowledge of the special risk marketplace. The companies they represent are often times not household names. But, they are often the best carriers to go to for a unique situation such as life insurance for rock and mountain climbing or sky diving or auto racing. Fortunately, you have landed on this page. We are special risk agents. We know which companies typically underwrite these situations the best. We know how to negotiate the lowest offers for coverage. And we know what information the insurance companies will need upfront in order to quote on this coverage. Are you a member of a club? Types of climbing you participate in? I.E. Trail, Rock, Snow & Ice, Mountain? Date and location of last climb? What courses have you completed and in what year? Do you ever climb without a rope? If yes, often often, location and degree of difficulty? Do you ever climb alone? If no, how many other people are normally in your party? What would others in your party climbing experience typically be? Are you a lead climber? Name geographical location where you climb, type of climbing and level of climb? What time of year do you climb? List the equipment you normally carry? On your average climb, how many hours/days would you be climbing? What are the average heights of your climb? What would be your level of difficulty? Maximum height climbed, level and date? What are your future climbing goals and climbing locations? In addition to the information regarding the climbing, an insurance company underwrite will also need to know if you have any medical problems that might affect your rate. The amount of coverage and the plan of protection is also important before an offer can be made. Once your life insurance broker has the answers to the questions above, they can then go to work and shop your coverage for the best rates. Your broker will typically call and speak to the different underwriting companies that specialize in life insurance for rock or mountain climbing. This way of informal negotiation with the different insurance carriers also keeps your information out of the medical information bureau. The medical information bureau is a clearinghouse of sorts for insurance companies. They check this to see if you have ever applied or perhaps been denied life insurance at some other point in the past. Once your broker receives the absolute lowest tentative offer for coverage, then and only then should you make a formal application to apply. As with most life insurance applications, the insured will typically need to complete a medical exam and perhaps also have blood work ordered. After the exam, blood work and any other requirements are completed, the insurance carrier will then approve your coverage at the quoted rate or if something has changed the company could come back with a different offer than the original. If a different offer is made than what was originally quoted, your broker could then go back to the company and try and negotiate the lower offer. Or perhaps even go to another company and see what their offer would be. It is important to remember that until all medical exams, bloodwork, Dr’s records, rock climbing questionnaires are completed it is impossible to guarantee a final rate. How do life insurance carriers typically rate those who climb? I think we can all agree that rock climbing or mountain climbing does add some additional risk to a policy. Life insurance carriers must try and determine how much additional risk this should be. And how much additional premium must be included to cover this risk. Each case is different. Some cases can have only slight risk adjustments for occasional rock climbing , while others may have some significant risk based on frequency, level of difficulty, etc. There is really no way to know what this additional risk will cost until all the factors are brought in to play. But, one factor that cannot be denied, there are life insurance companies that offer much better rates than others. Simply put these companies have more experience and pricing knowledge than other carriers. And, thanks to you finding this article, you now know there are expert agents that offer companies who specialize in finding affordable life insurance for rock or mountain climbing.